A double lane twisting water slide is the perfect idea for a hot summer day!! 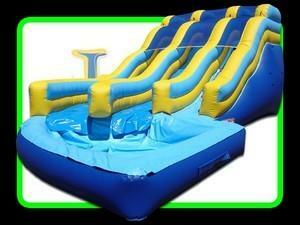 Why not have the newest and coolest water slide out to rent!! Reserve now! Customer must provide hose.